About 13% of all Iowans now put food on the table each day with the help of SNAP benefits. The latest Farm Bill is providing some $200 million in grants that will be used to help those receiving SNAP benefits to find jobs — or better paying jobs. U.S. Agriculture Secretary Tom Vilsack says the face of the SNAP program has changed in the last 40 years. Almost 421,000 Iowans receive monthly SNAP benefits, about 13% of the state’s population. 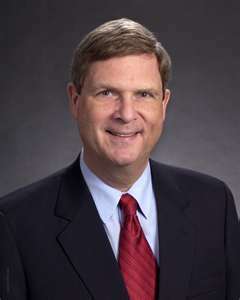 Vilsack, a former Iowa governor, says the majority of those receiving SNAP benefits work but are under-employed or under-paid. Vilsack says the grant money will be used to provide education and training, rehabilitative services for individuals in need and target hard to serve areas. Several of the pilot programs, he says, will be tested in what are considered hard-to-serve areas, including rural parts of Iowa.